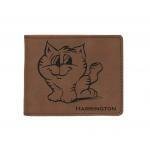 Custom engraved dog and cat design wallets. 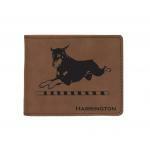 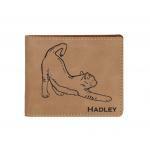 Our dog and cat design bi-fold wallets make great gifts. 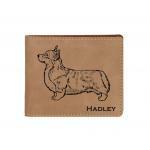 Best dog dad ever leatherette bi-fold wallet. 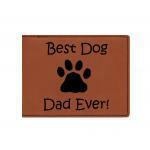 Makes a great father's day gift.